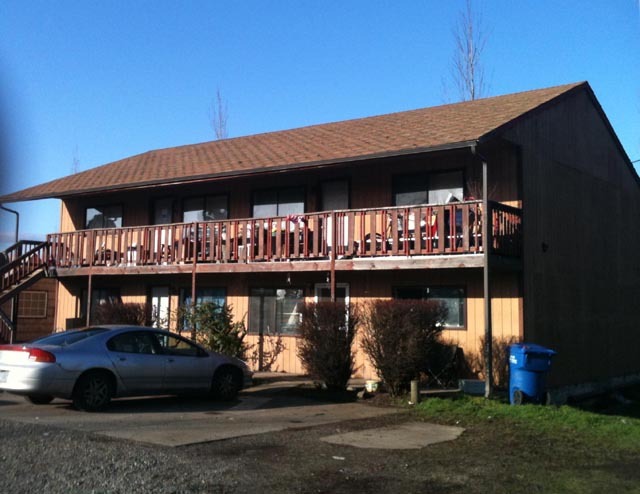 This attractive Keizer fourplex investment property was recently listed for sale by our sponser, Certified Realty. Located on nearly 1/2 acre, it is available at $235,000. According to the city of Keizer, this property may allow up to as many as 10 or more possible total units. For more information, contact Roy at Certified Realty at 503-682-1083, or use the convenient contact form below. This entry was posted in Keizer, Keizer Fourplex, Keizer Homes, Keizer Investment Property, Keizer Oregon Commercial Property, Keizer Oregon Homes, Keizer Oregon Multiunit, Keizer Oregon Properties, Keizer Oregon Real Estate, Keizer Plex, Keizer Properties, Keizer Real Estate and tagged Keizer Homes, Keizer Investment Property, Keizer Investments, Keizer Oregon Fourplex, Keizer Oregon Homes, Keizer Oregon Housing, Keizer Oregon Multi-Unit, Keizer Oregon Properties, Keizer Oregon Real Estate, Keizer Properties, Keizer Real Estate. Bookmark the permalink.